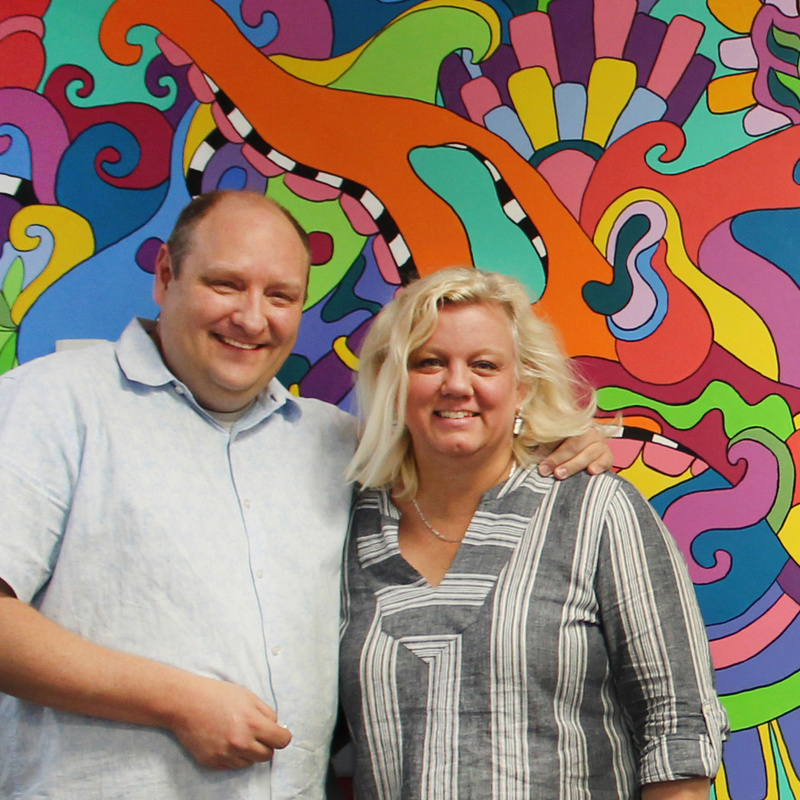 A Happy Vista is the colorful world of Artists Steve and Tonya Vistaunet. Steve is a graphic design professional with over 25 years of experience specializing in creative direction, brand management, and marketing. He has also been an adjunct faculty member at BYU for 8 years, and is currently in his 7th year as an adjunct faculty member at UVU in the Graphic Design department. When Steve’s not designing or teaching, chances are good you’ll catch him playing the piano, listening to music or playing with his 3 grandsons. Tonya grew up all over the world, including years in Taiwan, New York, California, Texas, Arizona, and Utah. Her time spent in different cities has given her an appreciation and love for all kinds of art and creative endeavors. Tonya loves to spend her time as a painter, seamstress, colorist, and overall doer of all things creative. She loves to read, hates to cook, and really enjoys time with her three grandsons! They are the parents of three wonderful daughters and the grandparents of three amazing grandsons. Brian Kershisnik, Cassandra Barney, Wayne Kimball, Cindy Clark, and Gregory Abbott.